Winter is knocking on the door, and right before the start of this beautiful season everybody has begun making preparations for it, isn’t it? But, while you are busy preparing your warm winter wears and cozy quilts, don’t forget the sky-high heating bills that the plummeting temperatures would cause. Heating water during the winter season is an expensive affair as it demands huge amounts of energy. Yes, it is believed that around 17% of the domestic energy goes into heating water. In addition, did you know electric water heating is the most expensive means to heat water? Well, this is exactly why we need solar water heating systems. Solar Water Heating System – What Is It? A solar water heating system is a device which uses solar power to heat water for commercial, domestic, and industrial requirements. This system is installed on a terrace or any open space where it can grab ample of sunlight and use it to heat the water in an insulated tank. These systems aren’t connected with any electric supply, instead, it uses the sun’s energy throughout the day to heat water and store it in the storage tank. The stored water can be used for any application as desired. Interestingly, heating of water is one of the most common applications of solar energy. A typical solar water heating system can help in saving nearly 1500 units of electricity annually, for every hundred liters per day of solar water heating volume. Normally, the collector usually comprises copper tubes which are welded to copper sheets (coated with highly absorbing black paint coatings) with an insulating material at the back and toughened glass sheet on top. The complete assembly is positioned in a flat box. In a few models, instead of copper, evacuated glass tubes are used; a distinct cover sheet and insulating box are not needed in such systems. These are metallic type systems which are considerably long lasting, but at the same time installing such systems could cost you few extra bucks. FPC systems work great in cold regions with sub ‘0’ temperature, but they need an anti-freeze solution which increases the overall cost of installing it. In addition to this, locations having salty water would need a heat exchanger to avoid scale deposition which could affect the heating capability of the system. These are made of glass, hence fragile – But cheaper than FTC systems. These systems also work well in colder regions having a sub-zero temperature. But again, in locations having salty water, regular cleaning is needed to clear the deposition of salt on the inner surface of the glass tubes. Note: Both FTC and ETC come with or without a pump. A pump is used to transport water from the collectors to the storage tank. Systems which come without pump use the thermosyphon principle to automatically move water to the storage tank from the collectors. Coming to the maintenance part, in areas having a hard water supply, scaling is bound to occur on these heaters regularly. This scaling needs to be regularly cleaned using acid. In addition to this, if the outside surface of the water heater is painted, then it needs to be repainted every 2-3 years to prevent corrosion. Always keep a check on leakages which could occur occasionally. And, since ETC systems are fragile, their glass is prone to breakage, hence it demands a periodic replacement. You are consuming free energy! Solar energy is totally free and an abundant resource (even in cloudy weather). Hot water produced by these systems can be used at homes for bathing, cleaning, and washing. Typically, water heating accounts for around 17 percent of a home’s energy use, and even today many homes heat water using natural gas or other fossil fuels. That results in many tons of carbon mixing with the atmosphere. Installing solar heaters is a great way to lower your carbon footprint and protect our climate. The Natural Resources Defense Council identified power plants as one of the primary sources of mercury and other deadly heavy metals being released into the environment every year. Such substances are the main threat to the health of our rivers, lakes, and streams, and to human health too. Solar water heating is a great step to reduce mercury adulteration of our watersheds. A solar water heating system can fulfill up to 80 % of your hot water needs, even in moderate climate conditions – This results in major utility bill savings. Considering the investment, a solar heating system typically pays off for itself in just 4-8 years and can last for more than 30 years. This means a lot of free energy and a lot of savings. Studies prove homes with solar sell quick and that too at higher prices. Hence, installing these systems is a great investment which will pay back – whether you sell or stay. 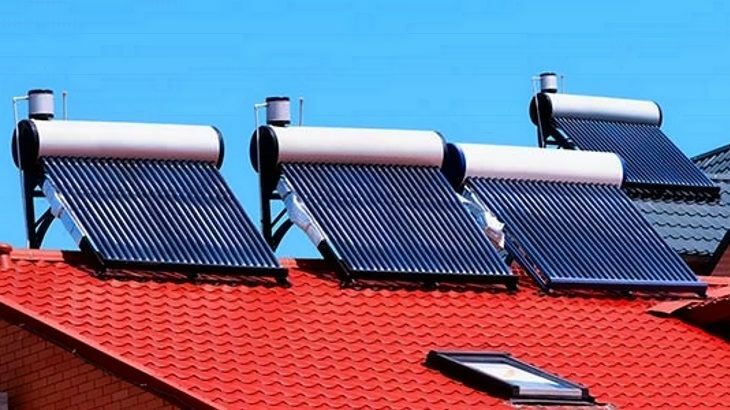 Disadvantages of solar water heating systems are quite limited, the first thing, of course, these can only heat water and do not generate electricity. Annual maintenance is a must because few parts of the system (like pump and antifreeze) demand regular checking to ensure they are performing optimally. While selecting the best solar water heater to be installed, it is first essential to determine if the water source is soft or hard. This is crucial because the soft/hard water has different mineral capacities and each uses a diverse heating system, which is; the direct system and the indirect system. 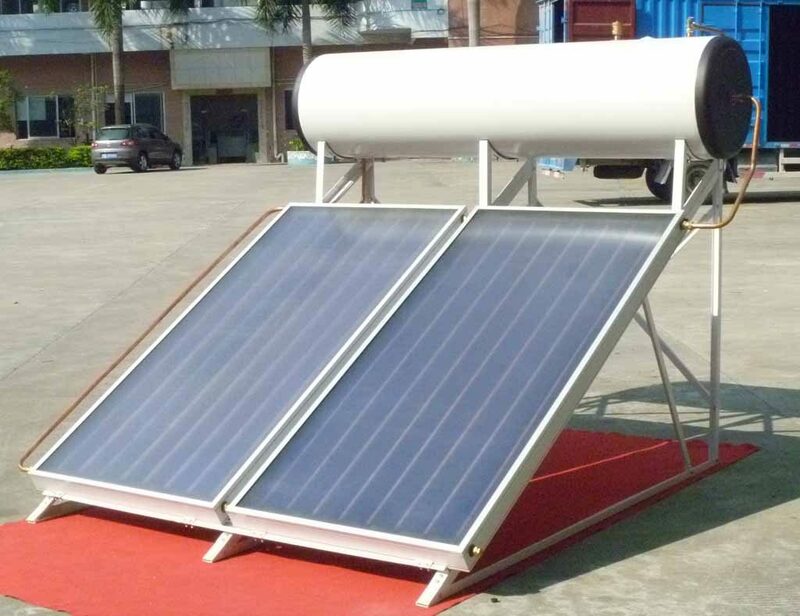 We already mentioned there are two types of solar water heaters, i.e. FPC and ETC. Since FPC systems are made of metals (majorly copper & or aluminium), these are more suited for tropical climates. FPC has high conductivity and emissivity which make them poor heat retainers in low ambient temperatures. In addition, these are quite bulky and expensive. furthermore, ETC systems tend to have a higher heat retention capacity, this makes them suitable for both tropical and moderate regions. But again, when these are made of glass these are quite delicate and demand careful handling and high maintenance. This is another very important factor to consider as most of the people, including technicians go wrong here. Plumbing work for solar water heaters demands two-way piping systems. Solar water is most perfect for bathroom use, but many people install it in the kitchen which results in wastage. Hence, the two-way piping system should preferably be used in bathrooms only. In addition to the capacity of the tanks used to store solar heated water, these tanks should also be able to endure the heat and retain it. Good tanks should be thick and be able to retain the heat for at least 60 to 70 hours. Furthermore, the tank should have a food safety measure to ensure the stored water doesn’t have a foul smell. Before purchasing and installing a solar water heater system, it is important to consider the water pressure system in the house. Most of the people go wrong in selecting the right pressure system which can efficiently withstand the pressure coming from the water source. Typically, there are 2 types of systems i.e. pressurized and the non-pressurized. A pressure equilibrium between the supply line and the solar water heating system is needed if the wrong application is chosen the entire system might fail. In addition, it is also important to determine if the system is on a pitched roof or a flat environment, this is because each setting demands a different kind of system and arrangement to bring in good results. It is quite sensible to know your weather/climatic condition before settling for any solar water heater. Since the solar heater is dependent on the sunlight, hence your location should be such that it is able to effectively collect enough sunshine, especially between 10 A.M and 4 P.M daily. 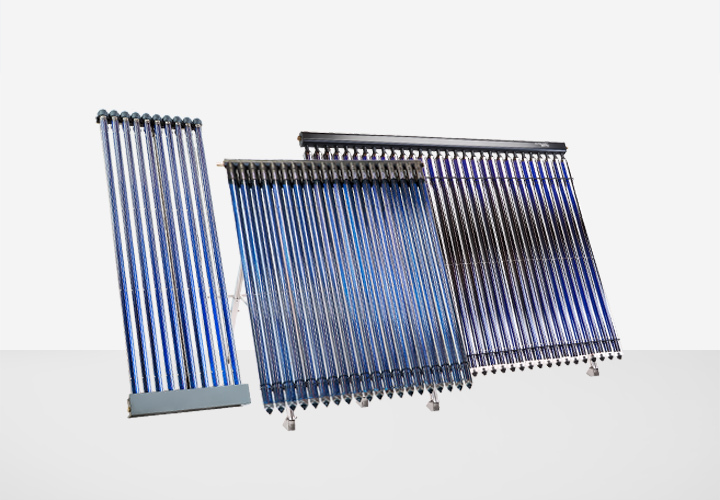 Spotting reputable companies to purchase a solar water heater is one of the most important and initial steps to getting genuine products. This is important as reputable companies carry recognizable brands which have been tried and tested. Furthermore, it is important to know the service life of the solar water heater before finally embarking on purchasing one. Homeowners, architects, and developers should always check the warranty before buying a solar water heater. Just as it is vital to purchase solar water heaters from trustworthy companies, it is also important to get professional installation. This safeguards that the solar water heater works as it should and also lasts longer. In addition, post installation it is crucial to perform periodic maintenance to ensure effectual operation. How Much Electricity & Money Can Be Saved? The below table gives an approximate on how much electricity and money could be saved for typical 100 litres per day solar water heating systems located in different parts of the country. Solar water heating systems cost more to install than the conventional water heating systems which are generally powered by fossil fuels – That’s Reality, but they do save a lot of money over time. Surprisingly, most of the estimates range from a 50 percent to 90 percent decrease in your heating bill right away, that’s a lot, isn’t it? It’s quite significant, solar water heating systems which are based on solar energy offer momentous protection to the mounting fuel prices, environment and should be employed whenever and wherever possible to realize a sustainable future. Why Should Homeowners Go The Solar Way? Like this story? Or have something to share? 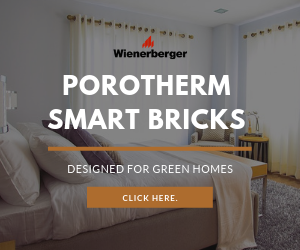 Write to us: gosmartbricks@gmail.com or connect with us on Facebook and Twitter. Energy & Atmosphere solar energy, Solar Water Heaters, Solar Water Heating, Solar water heating system. permalink.